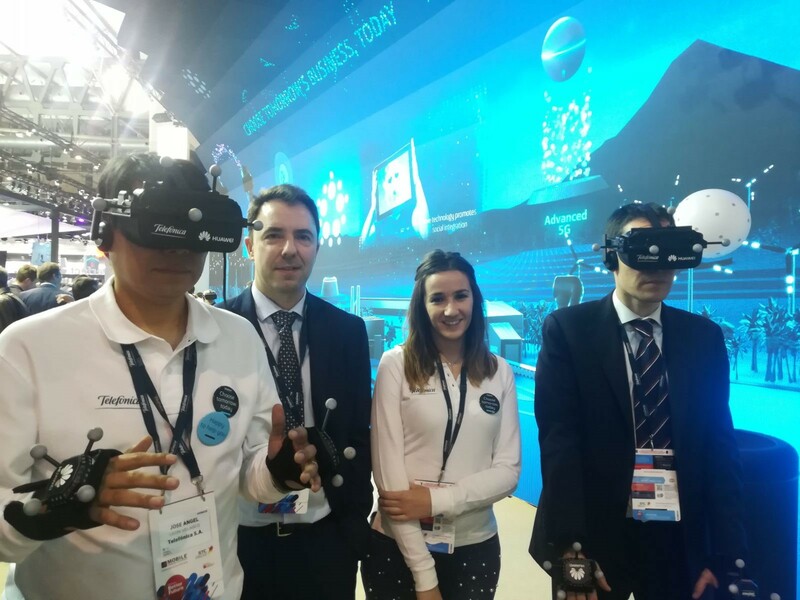 [Barcelona, Spain, February 27, 2018] During the Mobile World Congress (MWC) in Barcelona, Telefónica and Huawei jointly demonstrated the industry’s first VR service using 5G end-to-end (E2E) network slicing technology. The demonstration offered visitors the opportunity to enjoy the ultimate immersive 5G interaction experience. Interactive VR will be introduced to gaming, education, entertainment, e-Health, industry design etc., which will bring new business opportunities to operators. This demonstration used 5G E2E networks, including the access network, core network, transport network, and terminals. This test provided evidence of how 5G network slicing can enable on-demand diversified services and ensure large bandwidth and low latency, thus helping operators to achieve 5G business success. This demonstration represented the latest achievement in 5G key technology verification and use case research, marking another significant milestone of the two parties’ continued joint innovation and strategic cooperation. This demonstration also features the world’s first 5G commercial CPE. This CPE is based on the 3GPP standards and chip architecture with compact design, low power consumption, and high portability. Telefónica is a 100% listed company, with more than 1.5 million direct shareholders. Its shares trade on the Spanish Stock Market and on those in London, New York, Lima, and Buenos Aires.